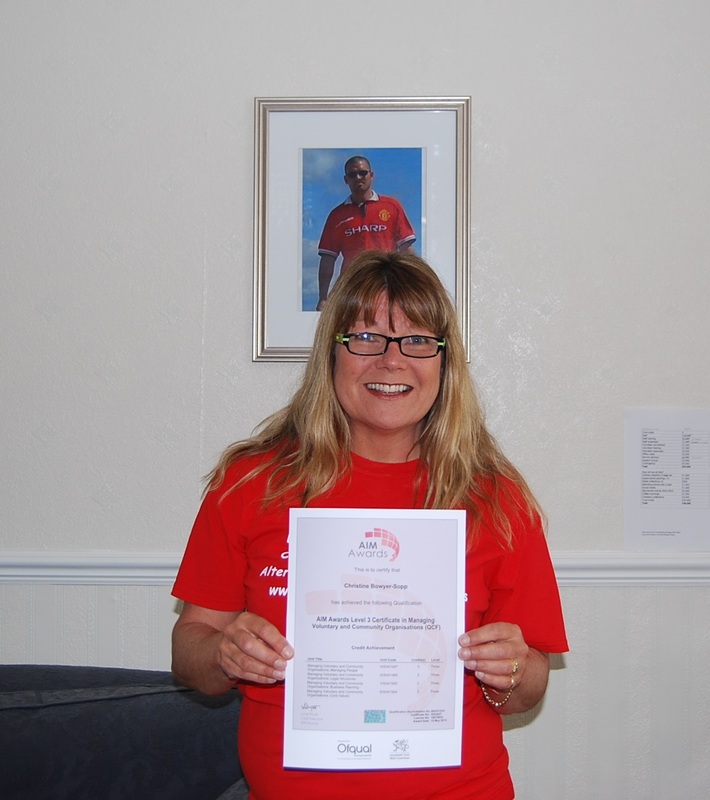 Our Chairperson, Christine, has received her AIM Level 3 Managing Voluntary & Community Organisation Certificate. The course Christine attended has helped to define what we want to achieve as a charity and how to measure this and how we get there. As a result of the course that Christine attended we now have in place Trustee and Volunteer Charters, Core Values, essential Policies and Procedures, and a Business Plan to drive us forward as an organisation. We now have a better understanding of how to run a voluntary orgainisation, with clearer objectives of how we can assist our client group, retain and protect our volunteers and an enhanced knowledge of Trustee responsibilities. This entry was posted in Training and tagged alternative cancer treatments, alternative treatments. Bookmark the permalink.